Live Nation is pleased to announce that following the immediate sell-out of Sting’s Back to Bass concert at the Hammersmith Apollo in London, a second show has been added for on March 20! In addition, a concert in Munich on February 28 has also been added to Sting's Back to Bass tour. 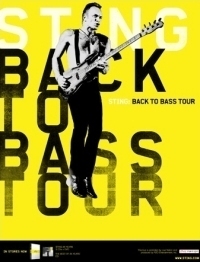 Currently garnering stellar reviews throughout North America, the Back to Bass tour celebrates the 25th anniversary of Sting's solo career by taking it back to bass…all the hits, stripped down, as they haven't been played in years. The European leg of the tour will begin in Gateshead, UK at The Sage Gateshead on February 5, 2012 and continue across Europe and the UK (itinerary below). Additional dates will be announced in the coming weeks. Fan Club presales will begin at 10AM (local time) tomorrow, Tuesday, November 22. Legacy Fan Club members will be given a one hour advance window at the start of the presale followed by a presale to all members beginning at 11AM (local time). Tickets for the London concert will go on sale to the public at 8AM (local time) on Friday, November 25 and for the Munich performance at 9AM (local time) on Friday, November 25. In support of Sting: 25 Years, the recently released box set collection, Back to Bass finds Sting performing songs spanning his dynamic solo career, plus a selection of The Police's greatest hits. Sting will be joined by a band including his longtime guitarist Dominic Miller, Rufus Miller (guitarist), Vinnie Colaiuta (drummer), Peter Tickell (electric fiddle), and Jo Lawry (vocalist). 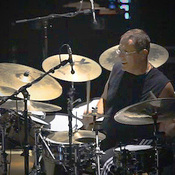 Sting.com Member Exclusive: "If it were permissible to spend an entire review rhapsodizing about a drummer, this space would be devoted to the off-the-charts skills of veteran Vinnie Colaiuta, who transcended the concept of mere timekeeping..."